Resident entire mid Himalaya etc. It is not at all shy, keeps up a continual twitter as it moves about, and often clings to moss-covered branches. It feeds on berries in winter (J Scully-1879). Rasmussen, P.C. 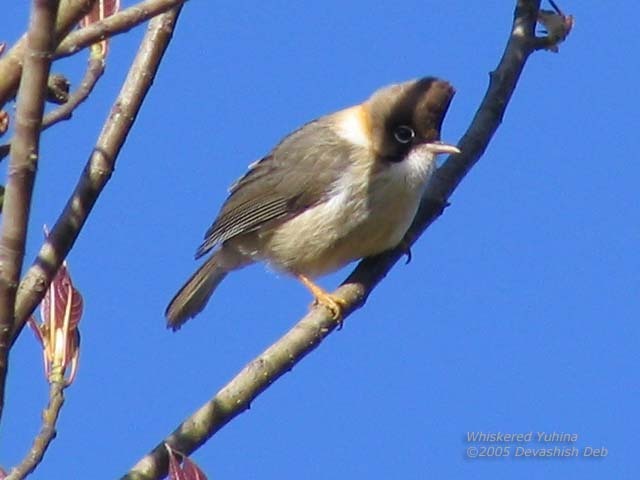 & Anderton, J.C. (2005): Birds of South Asia. The Ripley Guide (2 Volumes), v.1, p.278, v.2, p.459. Published by Smithsonian Institution, Washington DC, USA and Lynx Edicions, Barcelona, Spain. Copyright © 2006-2011 birdpoints. All rights reserved.